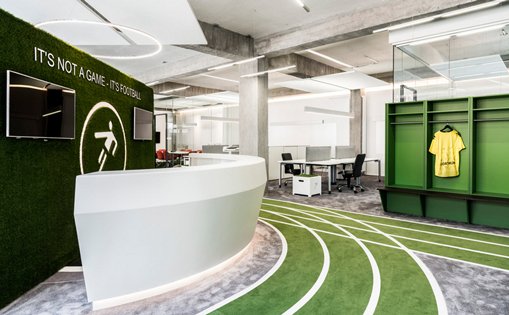 It’s not every day that you see an AstroTurf track lining the halls of an office, but that’s the first thing you’ll notice when visiting Onefootball’s new headquarters in Berlin. (That’s football in the European sense – otherwise known as soccer to those of us in the U.S.) Given that Onefootball is “the best mobile football platform for fans around the world,” it’s only fitting that their space reflects the enthusiasm of the sporting world, in conjunction with clean lines and modern finishes fitting for a tech company. 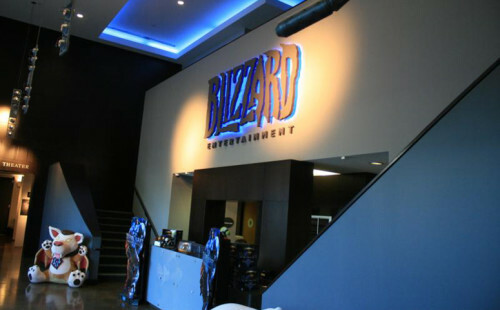 Blizzard Entertainment’s Irvine office is a gamer’s paradise. The developer of the massively popular World of Warcraft, Diablo and StarCraft franchises has created a sanctuary of comfort, creativity, and fantasy to celebrate its games and the people who make them. With its on-campus gym, cafeteria, basketball court, volleyball court, library, and Blizzard museum, it’s as much paradise as self-contained city. 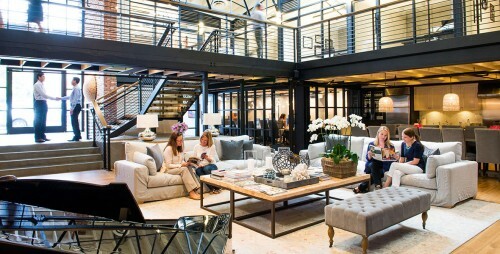 Yelp’s San Francisco headquarters is unique, unexpected and a great mix of vintage and high-end tech. 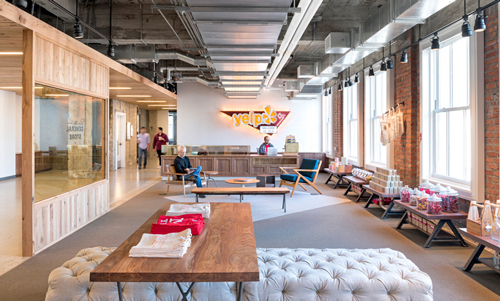 Located in thirteen floors of the historic Pacific Telephone Building in the heart of the city on the corner of Montgomery and Minna, Yelp capitalizes on the building’s nearly 100-year-old art deco design and reimagines it as a young, vibrant, and fresh creative office space. With the amazing (and recent) advancements in the food industry, eating gluten-free is becoming more and more manageable for the everyday working woman. That’s not to say it’s without challenges, particularly in the workplace, where a full kitchen is not always accessible or sanitary for those with celiac or severe gluten-intolerance. 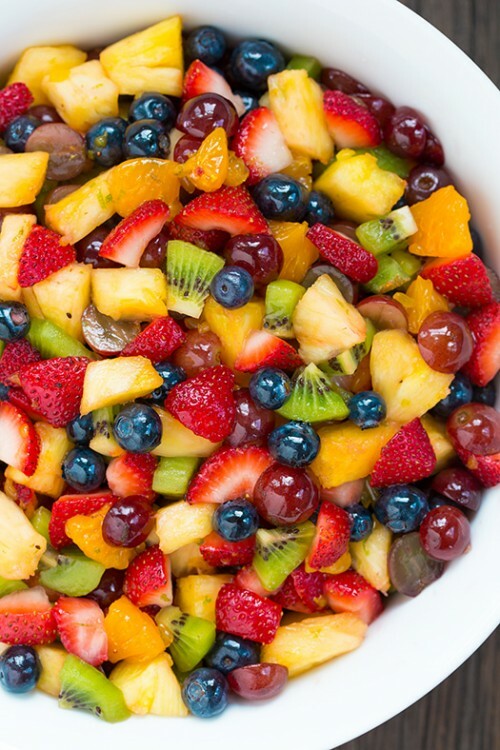 Photo from Cooking Classy – Does that fruit salad look delish or what? The night before work, cut and wash your favorite fruits. In the morning, toss them in some Tupperware and store them in a freezer-safe lunchbox. It’s a perfect morning snack that is healthy, yummy, and most importantly, gluten-free! If you don’t have time to cut and wash, try leaving some fruits (that do not require refrigeration) in a bowl at work, pre-washed, for you to reach for any time. My favorites are apples, bananas, pears, peaches, plums, oranges, and nectarines. KIND bars are a delicious treat for anyone who is gluten-free. They come in many different flavors and are an easy, on-the-go option for the busy working woman! One of my new favorite gluten-free breakfast options is Perfect Bar. Non-GMO, organic, gluten-free, and delicious, Perfect Bars are the newest, yummiest food trends for those on the go. Try the peanut butter flavor – it almost tastes like dessert! Note: These bars DO need to be refrigerated (to protect the all-natural ingredients), so be sure to keep them in a chilled lunch box or have a refrigerator available to you at the office! One of my go-to snacks at the office is all-natural corn chips. It’s a great snack when you are craving salt and need something yummy and crunchy to munch on. When you are craving something sweet, this is a great, easy snack choice that doesn’t require refrigeration. If you have a microwave available to you, fresh-popped popcorn is one of the best work day snacks I can think of! Healthy (within reason), delicious, and easy to make, popcorn is one of my go-to’s. If you don’t have a microwave handy, there are some great pre-popped options such as Boom Chicka Pop that will do the trick. Grilled chicken and veggies are a great make-ahead, healthy lunch option that only requires a quick re-heat in the microwave! It’s a balanced meal, and the protein will give you the energy you need to power through the rest of the work day after lunch. No mid-afternoon snacks here! Of course, tuna salad needs to be refrigerated once made – but canned tuna can be a great option for the workplace to get some protein with little advance work. Add it to some leafy greens and you’ve got yourself a very balanced meal and yummy treat! My favorite salad consists of spinach, walnuts, strawberries, raspberries, blueberries, and light vinaigrette. To avoid sogginess, keep all parts separate until you are ready to eat. If you do have to eat out for lunch (with a client or a colleague at work), try to pick the restaurant in advance. Come up with a list of restaurants nearby your office that has gluten-free options, and make sure to keep to that list when you eat out! A friend, best-selling author, and motivational speaker, Mike Robbins, once told me to write down, reflect upon, and share just a few things that I am grateful for each day – big or small. He calls it the “Power of Gratitude” – and believes it is one of the most important secrets to a happy and fulfilling life. Thank you, Mike, for the reminder. And here are a few things that I am grateful for this week! 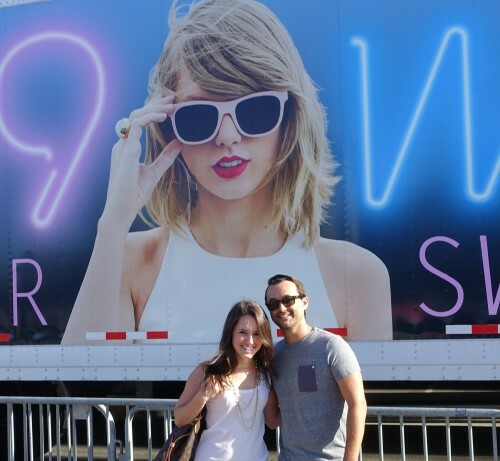 We had the amazing opportunity to watch Taylor Swift in concert last weekend in our very own backyard, at Petco Park in Downtown San Diego. It was one of the best concerts I’ve ever seen – and partly because it was so much more than a concert. It was a show. From the lighting show (every guest was given a light-up bracelet that changed colors and designs along with the music), to the 30+ semi-trucks carrying the equipment for the show, to the surprise guests (OMI and Avril Lavigne, anyone? ), to Taylor’s incredible energy and charisma on stage, I was grateful to see someone so talented and amazing do her job at the very highest level that night. Bravo, Taylor! One thing that many of us take for granted is where we work, and the careful thought that company owners, facilities managers, architects, contractors, furniture vendors, designers, and more put into an office space design and layout. It’s not something that they take lightly – and I know it to be true from my role as a broker. I feel incredibly lucky to play a small part in this process, and also to work in such a beautiful office of my own! One of my family members had a bit of a health scare this week – and I couldn’t be more grateful for the doctors who knew what they were doing and took such good care of her (and all of their patients). It’s an incredibly challenging job – but so appreciated by patients and loved ones of patients alike. We’re just past the mid-year mark – and how are you doing on your annual goals? It’s a challenge that everyone faces after the excitement of setting New Years’ Resolutions starts to fade…but there is no better time than today to check in on your goals to make sure you are on track. Here are five tips to keeping up with goals throughout the year, not just the first week in January! Create habits. It’s almost impossible to achieve significant goals without making a permanent change in your lifestyle, whether it’s to work more hours at the office or to spend more time in the gym. It’s important to develop habits that will ultimately become a regular activity for you. For example, one of my goals is to eat healthier snacks while at the office. If I don’t make a habit out of it, I’ll end up at the office munching on chocolate and Smartie’s every day. Instead, every Sunday, my husband and I spend the time to go to the grocery store, pick out healthy snacks for the week, and wash, package, and prepare the snacks to make it as easy as possible to execute. 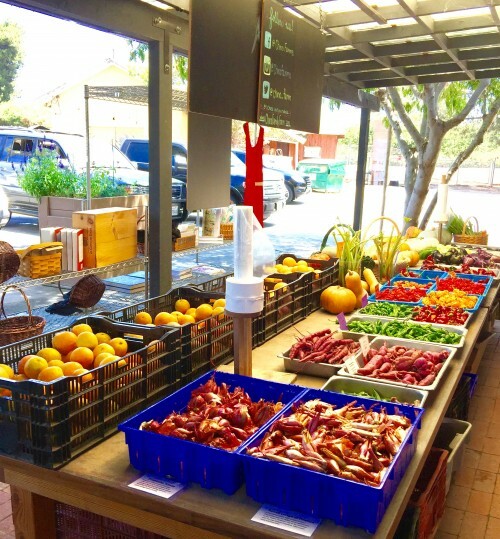 It’s become a habit that we grocery shop and prep our snacks every Sunday afternoon – and now it’s like clockwork! Utilize Outlook. I love to use Microsoft Outlook to track my work-related goals. For example, if one of your goals is to better manage your emails, set a recurring task to go through your inbox every Friday afternoon. I use Outlook to take my goals a step further, beyond professional goals. I’d like to improve my health and ideally exercise 2 to 3 days per week. 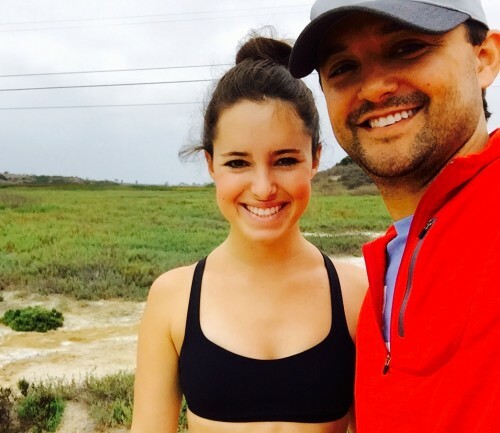 To help make this a priority, I added two exercise classes per week to my Outlook calendar, and even scheduled hikes on the weekend with my husband. If it’s on my calendar, I’m a lot more likely to do it. Use a Three-Pronged Approach. Instead of setting five large goals for the entire year, I prefer to break down my list into quarterly, monthly and weekly goals that are more manageable. If I have a large annual goal that is important to me, I’ll break it up into four chunks so that I’m not overwhelmed by the prospect of a huge goal, and instead inspired to achieve it in four smaller parts. Review Goals Weekly. I set an Outlook reminder every weekend to review my quarterly goals list, check in with myself on monthly goals, and set goals for the upcoming week. It’s easy to set goals and forget about them – but if you are continually keeping them top of mind, you will naturally make more of an effort to achieve them. Take Action. A great way to motivate yourself – or in some cases, force yourself – to achieve your goals is to take immediate, and even impulsive, action. If your goal is to run a half marathon, then start by signing up for the half marathon ahead of even training for it! If you have an end date in mind, and you are committed to it both financially and mentally, you are that much more likely to achieve your goal when the time comes. Similarly, if your goal is to save $10,000 in a given year, auto-deduct $833 per month from your paycheck and see your savings start to grow. Good for Work-Life Balance – or Detrimental to Business? Over the past year or so, I’ve read several articles about companies that mechanize their employees’ desks to lift out of reach when the clock strikes 6 o’clock in the evening, that auto-delete employees’ emails when they are on vacation, or that hold emails in a mail store after hours every day. These are not mom and pop shops either – they are large, established companies with thousands of employees. So the question is…are they on to something? Or are they doing their employees (and their business) a disservice? 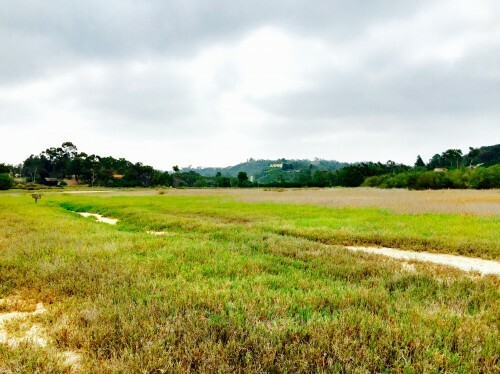 One benefit of this approach is that Heldergroen can use their space for other activities – such as yoga, dinner parties, and events. But on the other hand, it can severely disrupt an employee’s productivity, increase their stress levels, and reduce the quality of their deliverables and output by putting them under unnecessary time constraints. Other companies – and even countries – have tried to regulate work-life balance via email controls. France’s government recently introduced rules for receiving emails outside of work hours – and has signed a deal with unions that allow union workers to turn off work phones outside of work hours, insisting that they cannot be pressured to check emails. Volkswagen implemented a rule that their servers would stop releasing emails to its employees a half hour before the end of their work day, and would only send them a half hour before the start of the next day’s work. Daimler launched a new initiative, “Mail on Holiday,” that takes it a step further by auto-deleting all new emails received while on vacation. Fortunately, it is an optional initiative! It’s a great thought to make sure employees’ are enjoying their lives and avoiding burnout – but it’s not all that practical in today’s technology-focused world. As younger generations are being raised connected to their smartphones, tablets, and laptops, work-life integration, rather than work-life balance, is inevitable. And as the younger generations embrace work-life integration, they have also found ways of obtaining balance, oddly enough, while staying more on top of work than ever before. Whether it’s a workout at lunch, or leaving the office early to attend a child’s sporting event, today’s employees value flexibility during the day MORE than work-life balance in the traditional sense. 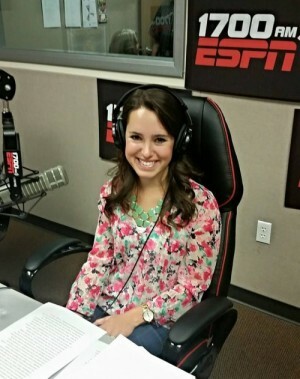 I had a great time on Real Talk San Diego, ESPN 1700AM, last week! Thank you, Jack and Stephen, for having me. The link to segment is below. 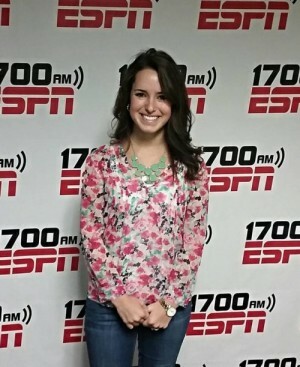 Enjoy – and remember to tune into ESPN 1700 for great stories and interesting topics, with the best hosts on radio! One of my favorite parts about working in real estate is seeing what makes certain companies tick – and what differentiates the others. In the world of tech, even the “typical” creative office space with open ceilings and polished concrete floors can differ wildly from one powerhouse company to the next. Take Lumosity, for instance. On the surface, Lumosity’s space appears to embody the new normal for a high-end tech company looking to attract great talent and retain the best of the best employees. 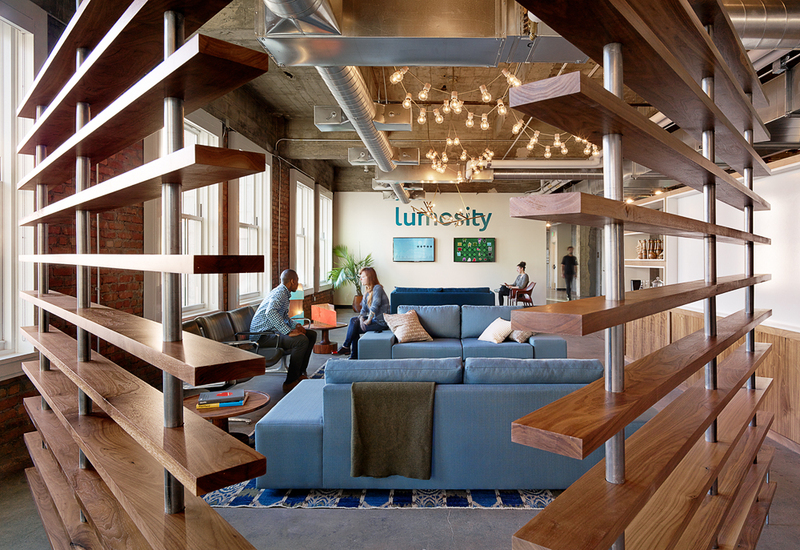 But there’s something even more unique about Lumosity’s space, and you’ll never guess what it is!